Summer is right around the corner and tending your house is a major item on your to-do list. Why not stop by the Home Depot this Memorial Day weekend and check out our doors? Afterwards, you can relax before opening your doors to friends and family for a BBQ to honor and celebrate our nation's heroes. 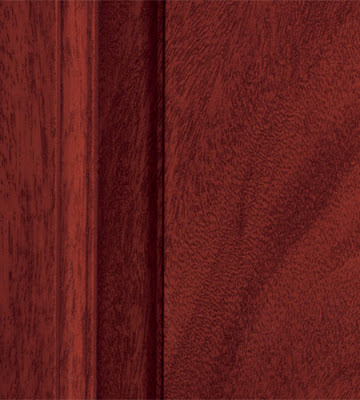 When it comes to the finishes on our Mahogany doors, it is hard to choose one over the other. Mahogany Chocolate Rich and luxurious, the unique wood grain finish gives you the real wood look without the rotting and cracking. Every door has it's own unique character achieved through the hand-staining expertise of our craftsmen. 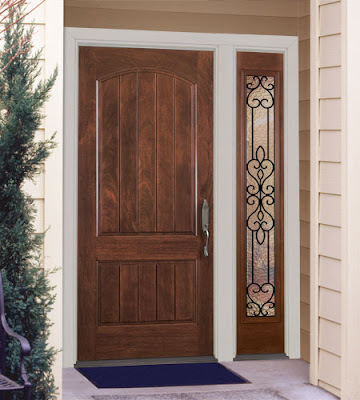 To top it off, all of our stained fiberglass doors come with a 2 year finish warranty. Sometimes, you really can have it all. Our new interactive tool, Price Solution, lets you sort and browse doors by price range, making it easier than ever to shop with a budget in mind. It is easy and quick. Click on the image below to check it out! 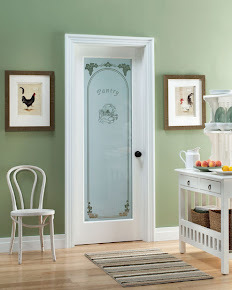 Read more on Buying Guide to Feather River Fiberglass Entry Doors. You pass by it everyday thinking you'll spruce it up some day. It might be your home office, laundry room or even your pantry. Our new lowered prices on our interior door slabs will make it easier for you to take the leap. 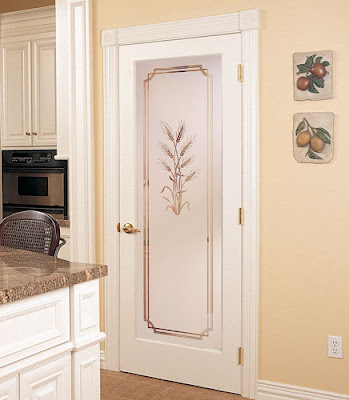 Our Reed and Cross Reed doors (Texture Collection) will bring sophisticated elegance while our selected Theme doors will add charm and fun to an ordinary room. Only $199. Summer is around the corner. That means BBQs on your patio. Memorial Day dinner, Father's day lunch, graduation parties and Independence Day with all of your friends and family... Wouldn't it be nice to spruce up your patio with a french patio door? 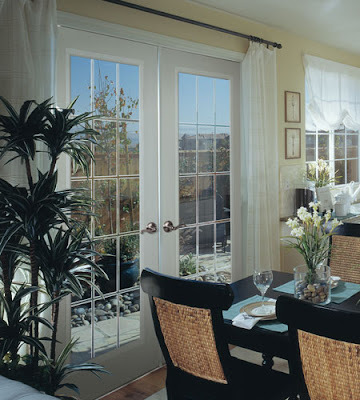 15 Lite V-Groove Smooth Fiberglass DoorsNew Lower Prices on our French Patio doors. Starting at $849. More than your windows, roofing or siding, your front door is likely to influence how your visitors view the rest of your house. It welcomes your guests (or prospective buyers) more than a fresh paint job or well kept lawn. We tend to ignore the front door, however, treating it as a portal that lets people in and out. Why not spruce up your front door during this DIY season? Its fairly easy to do and only take a few hours. Make it a fun project and marvel at how fantastic your house looks every time you enter your home and greet guests at the door. Yes, there it is again - front entry plays a huge role in boosting your house value. If your front door is in a good condition, add plants and flowers to make it welcoming. 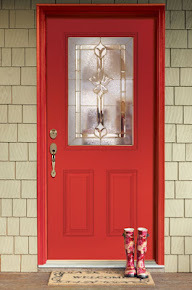 If your front door is run down, go to your nearest Home Depot and check out our doors. It'll dress up your front entry all by itself with the beautiful wood finish and decorative glasses that dazzle in the sunlight. Feather River Door now offers Composite Jamb System. Energy EfficientLow MaintenanceDurableDoesn't RotWith a Snap-In Brickmold there will be no unsightly fasterners needed. It is available in: Color: White Jamb Size: 4 9/16" & 6 9/16"Configuration: Single door, Single door with right sidelite, Single door with left sidelite, Double door.